The 2017/18 boating season has officially begun, and we want you to make the most of your time on the water and come home safely. 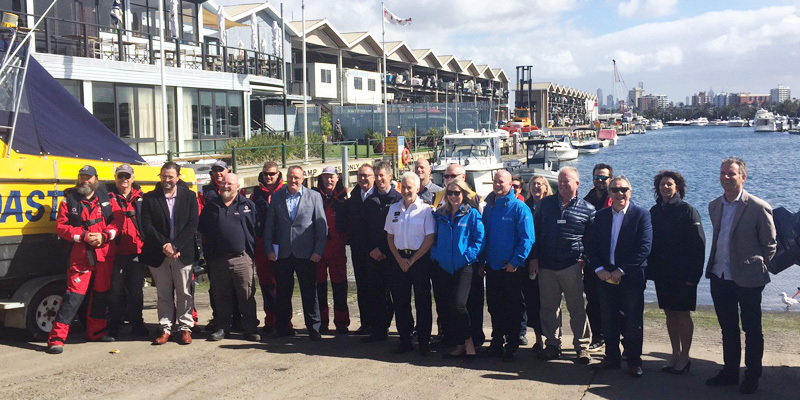 Transport Safety Victoria's Manager Recreational Boating Safety, Gareth Johnson launched the season in St Kilda on 20 October alongside the Boating Industry Association of Victoria, Life Saving Victoria and other water safety and rescue groups. At the event we reminded boaters to be aware of the risks, and some simply ways you can help mitigate them. Victoria’s older boaters are some of the most experienced, knowledgeable and capable people on the water. Unfortunately they are also the most at risk. When we talk to boaters about their ability, we find that many imagine they are just as fit as they were at 20. We all think accidents are something that happens to other people. “It’ll never happen to me” – but it can and does. TSV data shows that boaters over 50 need to take extra precautions to have the best chance of survival if the unthinkable happens and you fall in. The water in Victoria doesn’t warm up that much even in the height of summer, so you really don’t want to be spending time in there. fit a ladder to the side of your boat so you can haul yourself back on board if you have to. Remember that your wet clothes will weigh you down and the shock of the cold water will make it a harder task, so give yourself all the help you can. Have you got a VHF marine radio on your boat? New service Marine Radio Victoria can pick up distress calls along the coast, and can keep you informed about weather forecasts and warnings. Another way you can call for help is with an emergency beacon, which can also transmit your GPS location. Having the GPS location dramatically reduces the time it will take rescuers to find you and fish you out. And while there’s nothing more relaxing than an early morning fishing trip with no one else around, boating solo really ups the risk factor. When you’re boating alone - keep your lifejacket on at all times. This summer Transport Safety Victoria will also be focussing on personal watercraft, and how important it is for PWC riders to know the rules. For example, earlier this month two chaps riding the wrong way around Lake Nagambie ended up swerving into a tree. check the weather – not just if the sun will be out, but wave and wind conditions too – particularly for later in your trip. It’s better to be safe than sorry, so prepare for the worst to ensure you have the best time.